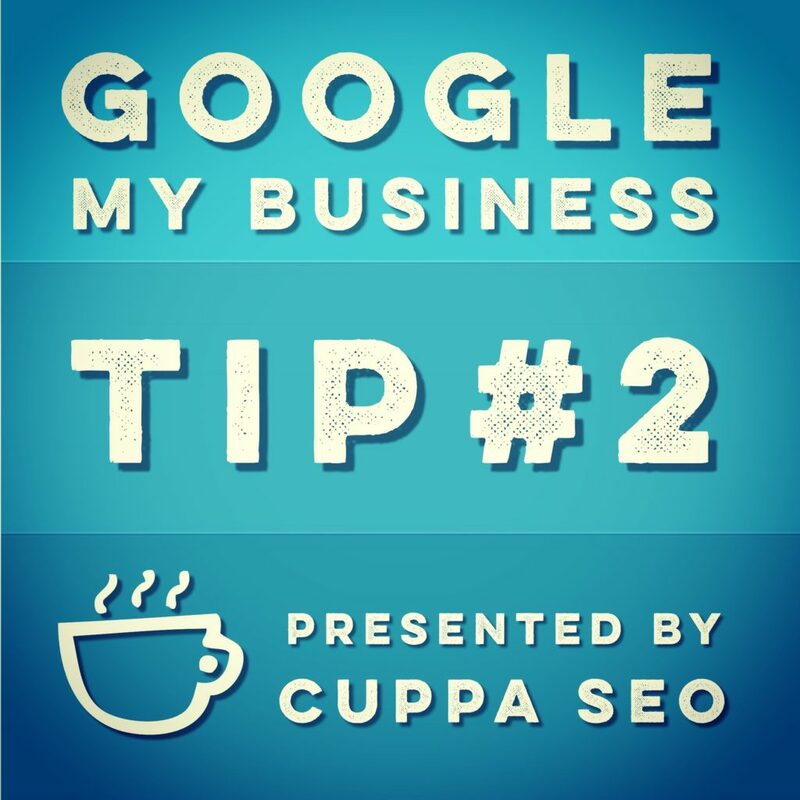 Welcome back for part 2 of our series on Google My Business tips! In this installment, we’ll be talking about how to optimize your About section. But before we do so, let’s take a step back to recap the recent changes that have occurred to this section. For quite a while, the current “About” section in Google My Business was called the “Intro.” It’s still the same content, but with a different name. Formerly available to view and edit right in your Google My Business listing, the About section now lives in the NEW Google+. 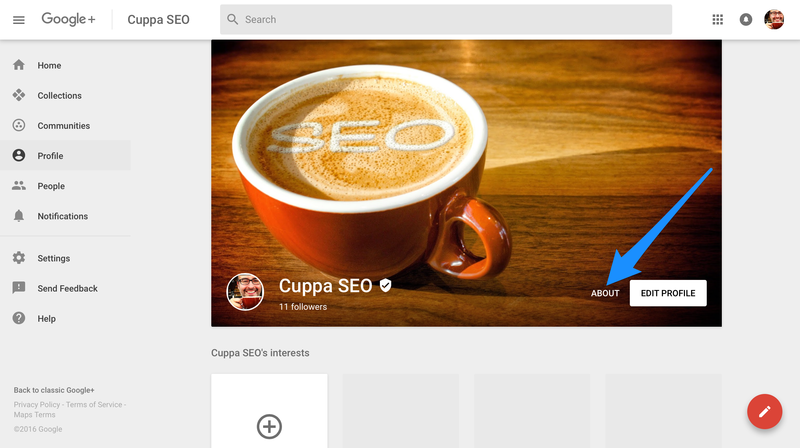 I say new, because Google has also decided to revamp their Google+ listing. Confused yet? Most people are. The best thing you can do here is stop trying to figure out why Google did this. It doesn’t really make sense to anyone but them. Instead, let’s focus on how to get to your About section so you can actually optimize it. If you don’t see this choice, you’re probably on the old Google+ page. If this is the case, go ahead and Google your business name followed by “Google plus.” So in my case, this would look like, “Cuppa SEO Google plus.” You have spell out “plus” otherwise this doesn’t work (crazy, right?). Once on the right page, click on About and you will find a few regions that can be edited. Next, choose “Story,” which is where you will actually place optimized content about your business. To optimize this section, you’ll want to depend on the keywords identified in your keyword report, which we talked about in part 1 of this series. To build the content for the About section, you’ll want to write an overview of your company and how you help people/organizations, followed by a listing of all your products and services. Each product or service should have a couple of sentences describing it. Be sure to create optimized, benefit-driven copy which will engage with readers — and with Google when they crawl your content! The About section of your Google My Business listing should be somewhere around 3,500 characters, not to exceed 3,800. What happens if you go past 3,800? Google will tell you that your content is too long and then you’ll have to edit it down. Once you’re done, click SAVE and review the content. As you can tell from the hoops you have to jump through to get to your About section, Google has not set up the best user experience here. But that doesn’t mean you shouldn’t be conscious of it for your visitors. So let’s talk about how to set up the content here so it looks good, and is easy to digest for good UX. Google’s interface has a way of making odd line breaks, so you may have to go back in and add or delete spacing between paragraphs. You’ll also want to add ALL CAPS for main headlines, Bold for sub headlines, and if you have bulleted lists, make sure you’re actually using bullets and not just dashes. These may not sound like a big deal, but they are. Remember, you want this content to be easy to read, scan and digest. You don’t want to create content that looks like a plate of spaghetti — all tangled up. Feel free to Contact Cuppa SEO to set up a complimentary consultation, very possibly over a cup of coffee! Thanks Joey! Very helpful insights. A question for you. Where do people actually see your “about” description? When I google your company name, I see the map and the fields of info, but nothing on “about.” Thanks again! Google has made it tricky to find. It’s actually in the About section of the Google+ page associated with your Google My Business listing.